Peter Malanik is a Senior Client Partner Korn Ferry’s Vienna office and a member of the Global Industrial Markets where he focusses on aviation and NED functions. Peter’s professional background includes more than 25 years of management experience at Austrian Airlines and 4 years of executive search leadership as a managing partner at a global search company with focus on industry and headed the aviation practice. 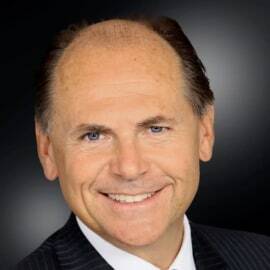 Prior to entering the executive search industry, Peter spent 27 years in a variety of management positions with Austrian Airlines, including several years of secondment to IATA and the Association of European Airlines, ultimately becoming joint CEO of the company. Peter’s extensive career at Austrian Airlines includes several HR functions including Executive VP for Global HR, then Secretary General and later Board Member as COO and joint CEO. Peter also held several NED positions in aviation, amongst others Chairmanship at Star Alliance and is currently non executive Chairman at an Austrian regional airport. Peter lectures on aviation management at the University of Economics in Vienna, at the European Business School near Frankfurt, Germany and – as of autumn 2017 - at Cranfield University, UK.